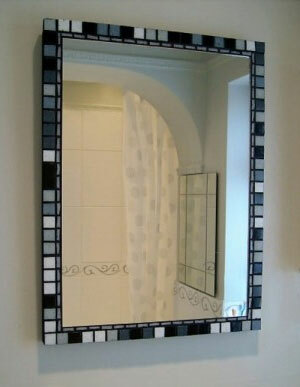 My mother-in-law has just had her bathroom re-decorated and was in need of a new mirror. As the size of the bathroom is not large, I wanted to use a large mirror but I deliberately kept the border quite slim so that it added interest to the room without being overbearing. 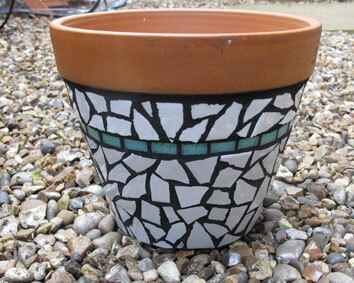 These were two simple, and very quick pots, to mosaic. 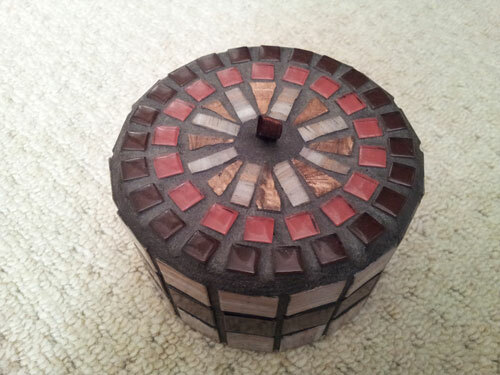 This one is made with broken white tiles (I use thinner tiles as they are easier to break). I really like the multi-toned tile sheets that you can buy (these came from Topps Tiles and I used about two sheets) which give a natural, random effect. 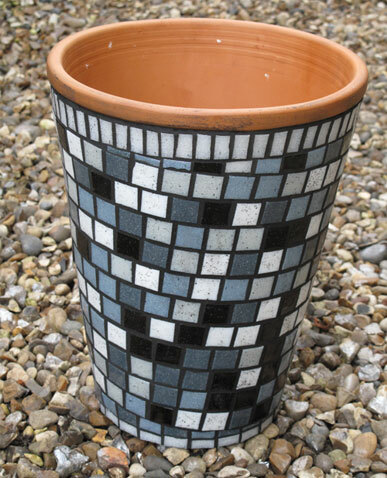 As the shape of the pot tapers I decided to cut the tiles intro strips and spiralled them around the pot, then grouted them with an outdoor grout. I had a leftover chocolate box and wanted to do something useful with it. 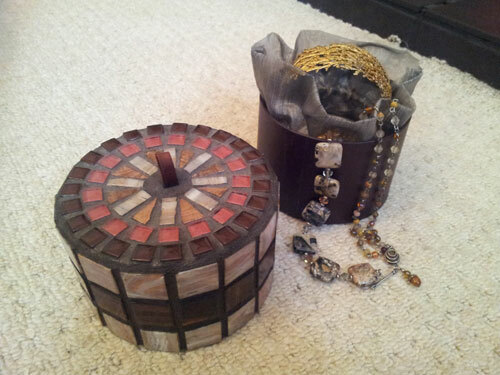 It was a strong cardboard container, with a ribbon on the lid making it very suitable as a trinket box. 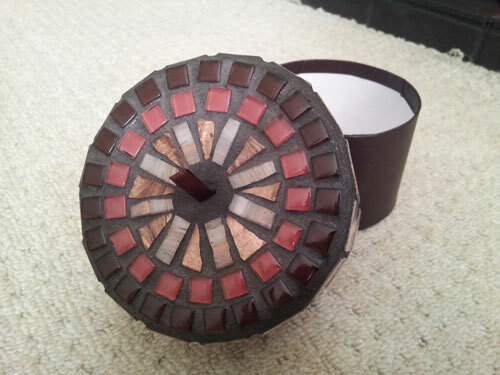 I had some 1omm glass mosaic tiles, which were a perfect size for the lid, and surrounded the side of the box with 20mm mosaic tiles.